Picture yourself diving into your own private pool on the island of Palawan, the warm Philippine waters just steps away from your villa. 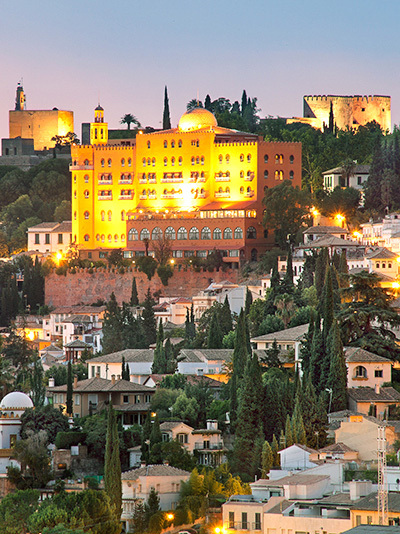 Or imagine waking up just beyond the walls of the Alhambra with Granada’s romantic views always in sight from your hotel window. Our network of over 1,100 carefully vetted hotels and resorts around the world ensures your stay will be just as magnificent as the destination you choose to visit. And when we craft each segment of your journey, we’ll also provide you with exclusive benefits like breakfast for two daily, $100 in dining or spa credit, early check-in and late check-out when available, and complimentary Wi-Fi. When we reserve a participating suite for two or more nights, we’ll pamper you with up to $500 in valuable benefits. 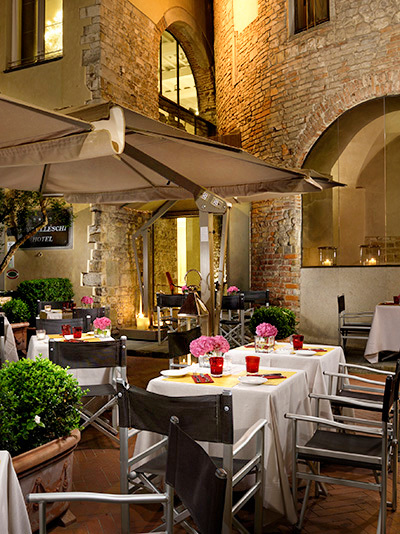 Hotel Brunelleschi is a historical pearl inside the heart of Florence city center, located just a few steps from the Duomo, Piazza della Signoria, the Uffizi Gallery, Ponte Vecchio and the main shopping streets. The hotel also boasts a range of elegant, individually designed suites with notable views, as well as family accommodations. All guest enjoy a full breakfast daily and complimentary Wi-Fi. PLUS, STAY THREE OR MORE NIGHTS AND RECEIVE A 10% DISCOUNT FOR SELECT CATEGORIES, AIRPORT TRANSFER, SOUVENIR PHOTOS OF THE FAMILY VACATION AND MORE! 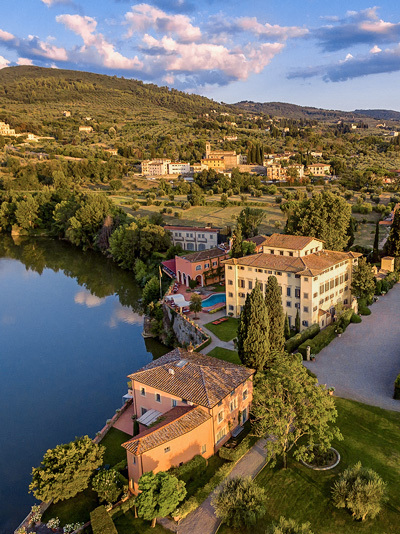 Villa La Massa offers an authentic Tuscan experience to families on the banks of the Arno river. Younger guests are welcomed warmly by our dedicated staff, who take care of every detail. The 22 acres of land allow room for everyone, from a morning run in the park or a painting class at sunset to a family day of horseback riding. Villa la Massa is the perfect place for multigenerational travelers. PLUS, BOOK TWO CONNECTING ROOMS AND THE SECOND ROOM WILL BE OFFERED AT 50% OFF THE BEST AVAILABLE RATE FOR SELECT TRAVEL DATES 4/12 THROUGH 11/30/19. Founded in the early 1920s with the name Select Palace Hotel, Grand Hotel Principe di Piemonte was extended by two floors in 1925 and embellished by the magnificent façade that harmonizes the central part. Time has transformed it into a grand hotel of international fame that is the preferred residence of aristocrats, intellectuals and artists alike. All guests enjoy full breakfast daily, Wi-Fi and 50-minute access to the Thermarium Spa program, per person. 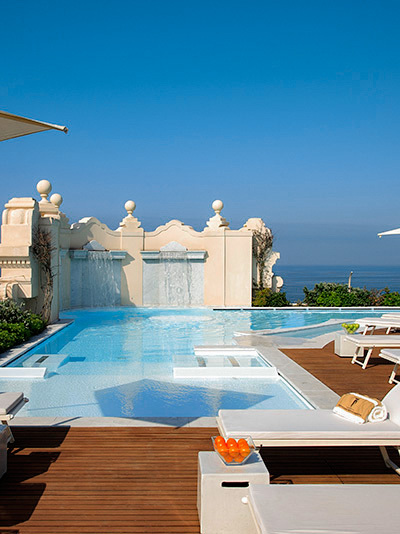 At Belmond Villa Sant’Andrea, which is celebrating its 100th anniversary, a stay in a beach residence is like reuniting with long-lost friends. Be greeted with freshly made lemonade on arrival, and sip a granita at breakfast. Balconies are bejeweled with bright geraniums, and terraced gardens lead down to a picturesque beach with private cabanas — perfect for families. Sink into a world of calm while the little ones have fun at the dedicated Smile Club. 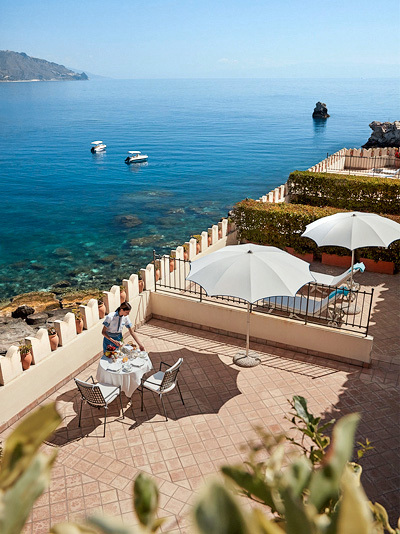 All guests enjoy a full breakfast at Oliviero Restaurant daily. The oldest five-star hotel in Spain — inspired by the Alhambra Palace itself — is a faithful representation of a renewed tradition and high European hospitality. Luxuriate in one of 108 comfortable Suites, Junior Suites, or Deluxe or Classic Rooms, and enjoy unforgettable views of the city of Granada or the corners of the forest of the Alhambra. 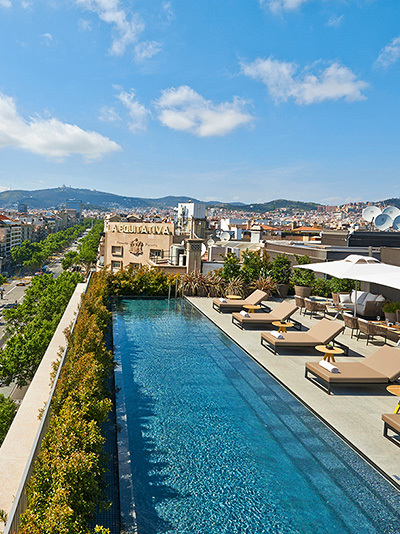 Fusing high quality with classic luxury for a contemporary Catalan style, Mandarin Oriental, Barcelona enjoys a stunning setting in the heart of the city. With chic contemporary interiors, a choice of enticing indoor and outdoor space, exquisite dining and one of the best spas in the Catalan capital, this is an extraordinary hotel experience. 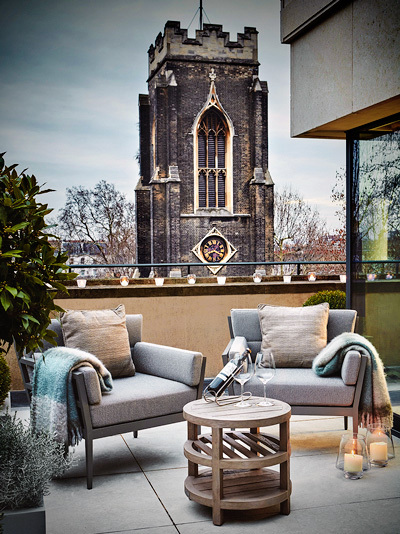 Within The Berkeley’s breathtaking collection of rooms and suites — among the most spacious in London — are many options with private garden terraces and quiet balconies. All rooms and suites skillfully combine comfort, stylish design and the latest innovations to meet the needs of the modern traveler. 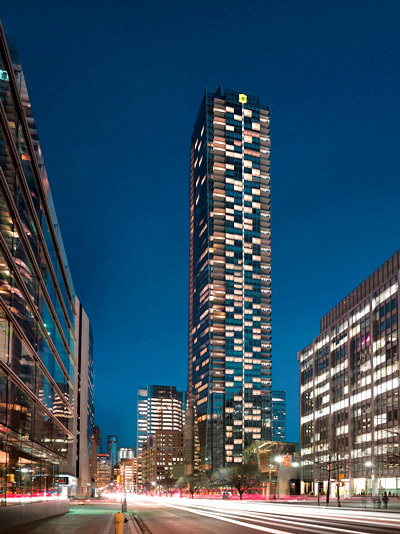 Shangri-La hotel, Toronto, perfectly positioned in the heart of the downtown core, has established itself as a luxurious urban oasis and hip city haven. Memorable experiences are within walking distance of the city’s best shopping, restaurants, sports, live theater and cultural venues. Arts, fashion and entertainment intertwine in the Lobby Lounge; in the evening, it transforms into a destination to enjoy live music. White-glove service awaits those looking for the finer things at The Surrey, New York City’s only Relais & Châteaux hotel. 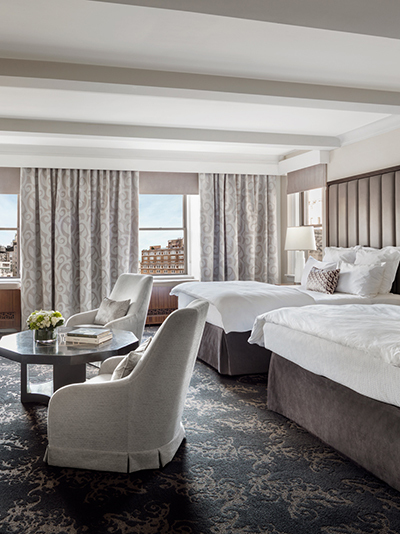 An intimate, sophisticated address on Manhattan’s Upper East Side, this hotel began as a townhouse to the stars of the 1920s and is now a hot pied-à-terre. Discover the award-winning Monarch Beach Resort overlooking the azure waters of the Pacific. The resort provides a laid-back luxury experience, including a private beach club, Miraval Life in Balance Spa, nine dining options, oceanfront golf and three sparkling pools. Pure luxury that’s ever so chill. 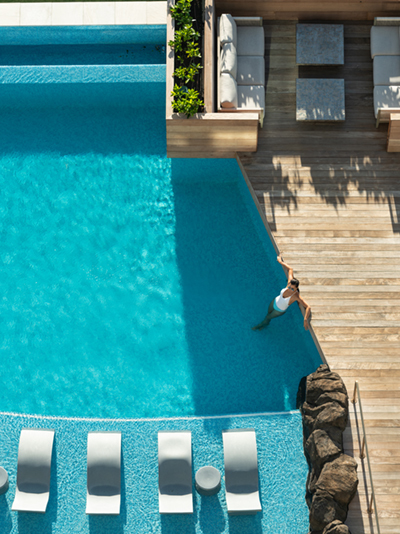 Families can discover the newly-completed Ritz-Carlton Residences, Waikiki Beach featuring the largest number of luxury suites on the island with all ocean views and in-room residential amenities such as kitchens and washer/dryer. The entire family can enjoy farm-to-table, island-inspired breakfast at the resort, whether it’s four guests in a studio or 10 guests in a four-bedroom Grand Ocean Suite. Set within a paradise of protected mangroves and lush, local foliage and facing the white sands of the Mesoamerican Barrier Reef, the second-largest coral reef in the world, NIZUC is home to two exclusive beaches and surrounded by the region’s natural wonders, archaeological sites and attractions. Explore the cuisine and culture of modern Mexico while enjoying the white-sand beach and luxe landscapes of Andaz Mayakoba’s exclusive gated community. Treat yourself to an authentic Maya spa experience at Naum Wellness & Spa; indulge in innovative Latin American dining at Casa Amate while tasting a variety of local tequila, mezcal and wine; perfect your swing at El Camaleon 18-hole golf course; or simply soak up the sun in one of our two beautifully landscaped outdoor pools. 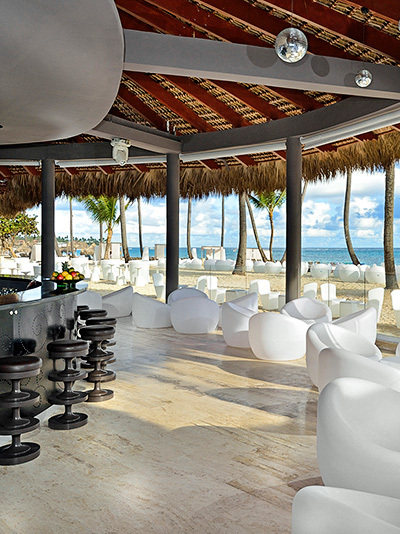 This luxury all-inclusive playground caters to adults and children alike. Families will enjoy a variety of amenities, whether it’s hanging out in the supervised kids’ and game zones or participating in life-enriching activities together. Accommodations include exclusive butler service, five restaurants, first-class mixology and enology, a water park, a heated pool and a private beach area. Swim-up suites are available. 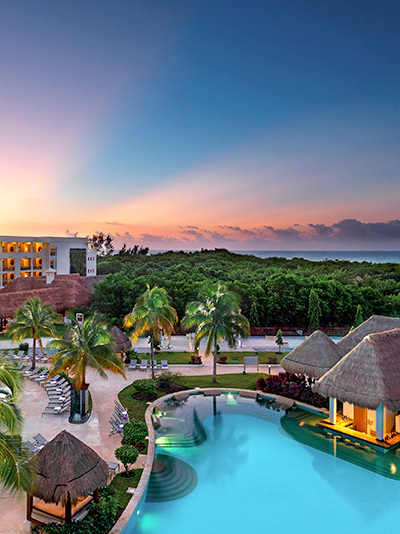 Paradisus Punta Cana redefines the Caribbean all-inclusive experience through its vibrant tropical gardens and mangroves. Take in postcard-perfect Bávaro Beach, with its fine white sand, crystal-clear water, lush vegetation and endless palm trees. 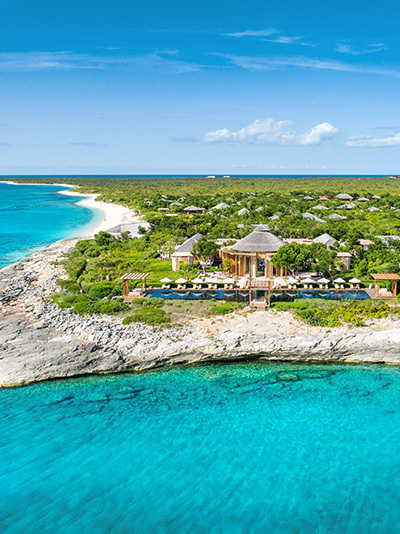 Amanyara (“peaceful place”) is situated in the Turks and Caicos Islands and embraces pristine white-sand beaches and turquoise waters ideal for water sports and diving enthusiasts. 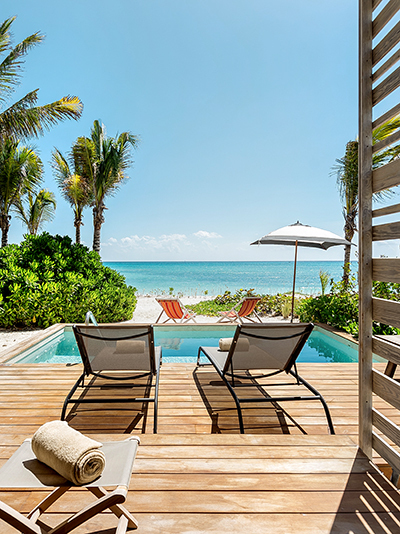 Comprised of contemporary Pavilions and Suites, plus fully serviced private Villas ranging from three to six bedrooms, Amanyara provides the utmost privacy and tranquility. Fairmont Southampton sits atop the highest point in Bermuda, offering stunning views of the South Shore Atlantic Ocean. Experience the Willow Stream Spa, the 18-hole Turtle Hill Golf Club, Resort and Spa pools, a tennis club, a private beach, 10 restaurants, the Explorers Camp Kids’ Club, and a toddler playroom and a teen game room open to all guests. Enjoy complimentary ferry service to downtown Hamilton’s shopping and restaurants. 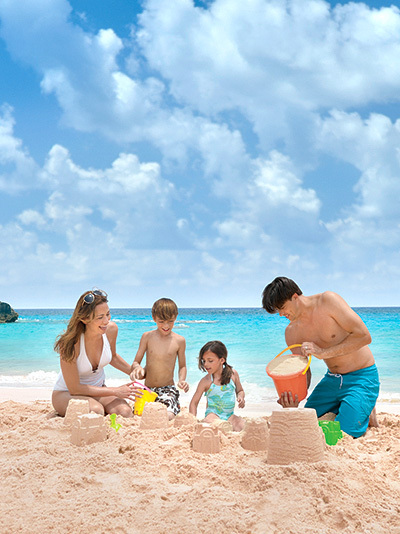 PLUS, ENJOY A SECOND ROOM WITH THE FAMILY GETAWAY PACKAGE! Amanpulo (“peaceful island”) is located south of Manila and boasts all the idyllic beauty of a tropical island retreat. 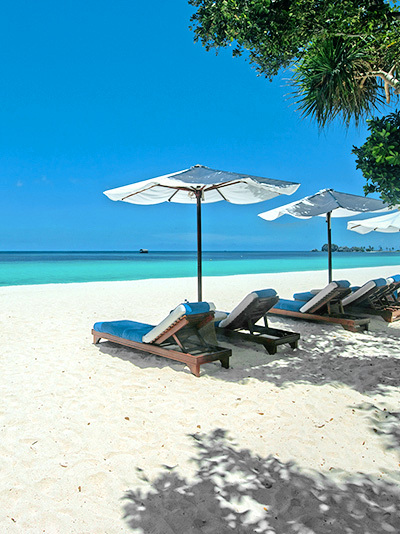 Fringed by white-sand beaches, turquoise waters and a coral reef, the entire island is dedicated to the resort. Its facilities include the Aman Spa, several restaurants, the Dive Center, the Kite & Surf Center and the main swimming pool. 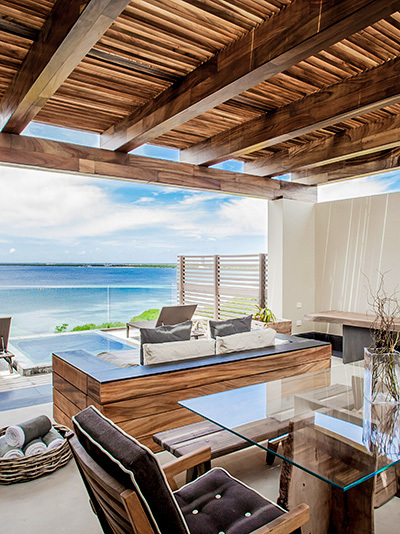 Forty-two Casitas are situated on the beach, among the treetops or on the hillside, while 18 Villas are on the island’s shores. We ensure every moment of your vacation is right for you, from your luxurious accommodations to indulgent benefits. Call us today to get started.